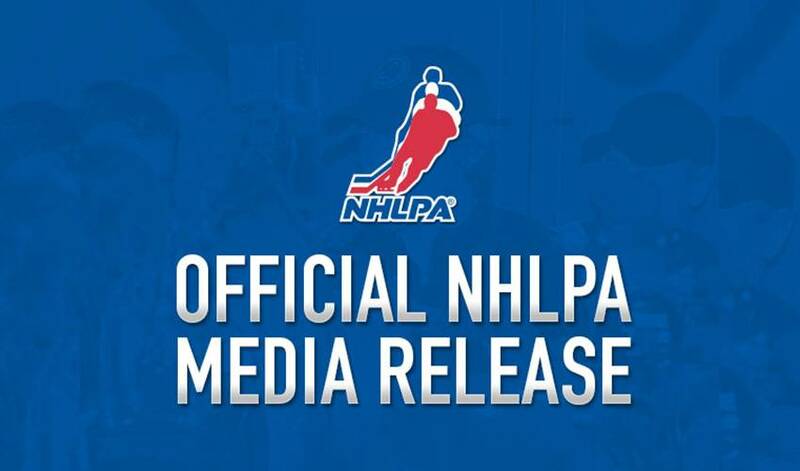 The family of Derek Boogaard issued the following statement today through the NHLPA. “We would like to express our appreciation for the outpouring of love and support for our family during this difficult period as we grieve the loss of Derek – our son and brother. We are deeply saddened by this unimaginable loss, but we are grateful for the expression of support that has given us strength as we go through this tragic time. It is very comforting for our family to know that, while Derek’s life was far too short, he had a great impact on many people who he came into contact with. We are proud that Derek was able to live his boyhood dream to play in the National Hockey League. We are even more proud of the fact that Derek was dedicated to making a difference in his adopted communities of Minnesota and New York City, through his countless hours of charitable work. Earlier today, we received the results of Derek's toxicology report at the time of his accidental death. After repeated courageous attempts at rehabilitation and with the full support of the New York Rangers, the NHLPA, and the NHL, Derek had been showing tremendous improvement but was ultimately unable to beat this opponent. While he played and lived with pain for many years, his passion for the game, his teammates, and his community work was unstoppable. Our family would like to like to thank the New York Rangers, the Minnesota Wild, the National Hockey League Players’ Association, and the National Hockey League for supporting Derek's continued efforts in his battle. The funeral service inside the RCMP Chapel will be closed to the general public and media; however, there will be a designated media area outside of the RCMP Chapel. Media are asked not to conduct interviews with guests prior to the service. Following the service, guests will have the option to do interviews in the designated media area. The Boogaard family will not be making any media comments following the funeral service. It is the family’s intention to provide reasonable media access while ensuring that the privacy and dignity of the service is respected. The Depot Division is currently under construction so media will need to use the McCarthy / Dewdney entrance to enter the premises. The Commissionaire will direct media to the appropriate location (parking lot east of the Multi-Purpose Training Facility). For specific questions, please contact RCMP Media Officers Rick Wychreschuk at 1-306-530-3022 or Al Leblanc at 306-502-0193.